Thank God for Joe Biden. Everyone is so afraid of being natural and engaging in unscripted banter. I suppose they’re afraid of losing their jobs (I’m looking at you Stan “The Man” McChrystal). Americans want their politicians honest and forthright, but when they are they suffer the wrath of the public and media, so they stick to talking points and staged rallies. 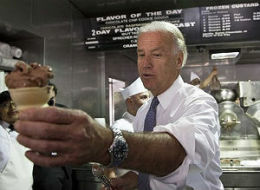 We need more McChrystals and Bidens: people who just say what’s on their mind. 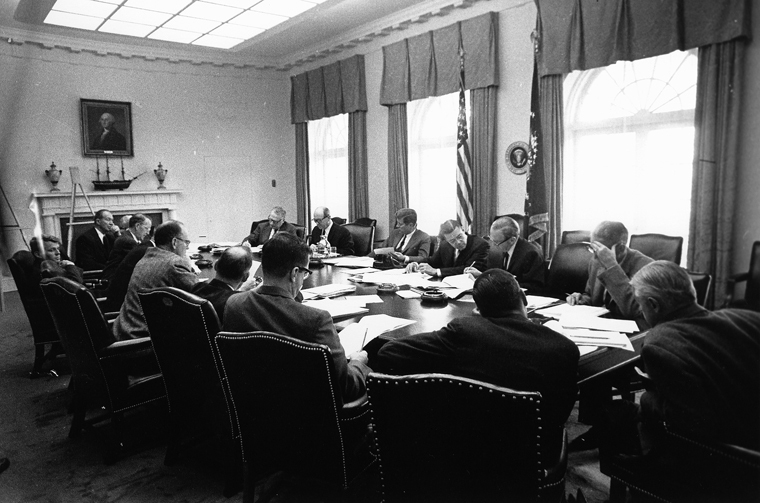 The next morning, at 9:15, the President met with the JCS for forty-five minutes. The JCS were hoping to get the President alone so that they might be able to convince him that a swift military strike was needed immediately. However, they only succeeded in irritating the President and stiffening his resolve against the military option. Lemay is sitting at the far left. On Saturday October 20th the President convened the ExComm again. When asked earlier by Appointment Secretary Kenneth O’Donnell about what would happen if they could not reach a consensus, the President related a story about President Lincoln at one of his Cabinet meetings: “‘All in favor vote “aye”.’ The whole cabinet voted aye, Lincoln voted no, and then announced that the no’s had it.” (O’Donnell, 320) In other words, the President was determined to do what he damn well wanted to do. 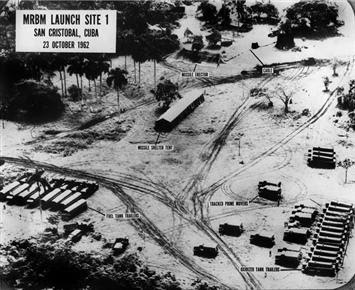 The meeting began, as usual, with an update on the construction of the missile sites in Cuba. Following that, McNamara began his presentation, known as the “blockade route,” which outlined the initial phases of the blockade. In order to proceed with negotiations, the U.S., he said, must be willing to “accept the withdrawal of United States strategic missiles from Turkey and Italy and possibly agreement to limit our use of Guantanamo to a specified limited time.” (Cuban Missile) He noted that withdrawal of the missiles could take some time, which might cause the President to incur some political damage, but in the long run it was the safest alternative to the military strike. He also noted that as the leader of the free world, it would not be in our long tradition to institute a first-strike policy, especially a sneak attack. The President then asked General Maxwell Taylor how he interpreted the statements made by McNamara. 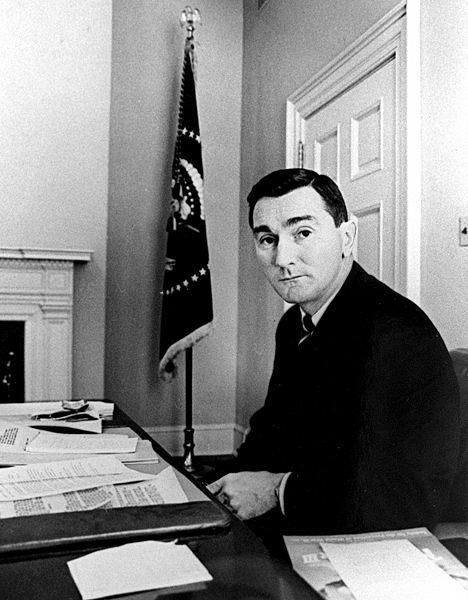 Taylor, speaking on behalf of the JCS, did not agree with McNamara’s belief that “if we used nuclear weapons in Cuba, nuclear weapons would be used against us.” (Cuban Missile) Mac Bundy then briefed the President on the “air strike alternative,” which he argued was their best shot for getting the missiles off the island. 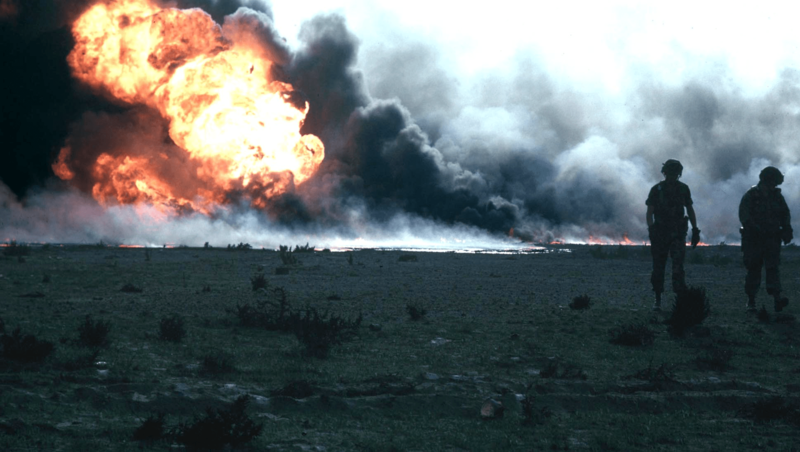 McNamara argued that there was no guarantee that all of the sites would be destroyed, thus leaving us open to retaliation. At this point, Bobby spoke up. He argued that there be a combination of the two plans: an initial blockade, followed, after a set amount of time, by an air strike. This would eliminate the Pearl Harbor analogy by providing the Soviets ample time to respond, but it would also provide justification for removing the missile sites by force if the Soviets fail to dismantle them. This idea seemed to have a positive effect and it won over Secretary of State Dean Rusk to the blockade route. With the Pearl Harbor analogy in mind, Rusk asserted that we had no legal or moral justification for a surprise attack, which meant the U.S. should pursue the blockade route. He added that an air strike would be “chapter 2,” in other words it would be the next phase of the efforts to remove the missile sites. UN Ambassador brought up the idea that we trade our Jupiter missiles in Turkey and Italy for the missile sites in Cuba. The President argued that given the deceptive nature of the Soviets in the transportation of the missiles, and the sensitivity of the allies about these Jupiter missiles, that option was unacceptable. 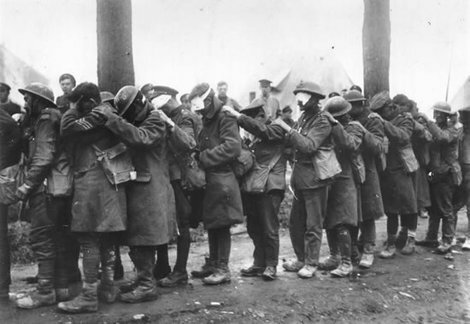 After some discussion about the rules of a possible blockade, Secretary Rusk brought up the idea of calling it a quarantine because a blockade is technically an act of war. 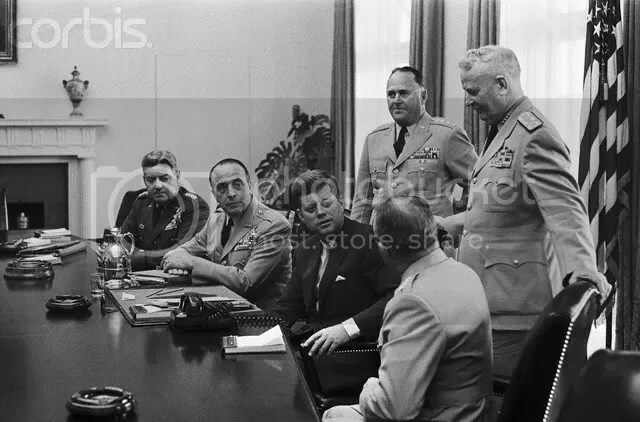 As the meeting came to a close the President decided that the blockade route was their best option, followed by air strikes against missile site and missiles if the Soviets refuse to remove them from the island. The group discussed the blockade draft speech by Ted Sorensen that was to be given to the American public in the next few days. The ExComm had finally reached a consensus. The President’s decision to pursue a naval quarantine, rather than an immediate air strike, undoubtedly saved the world from nuclear oblivion. This not hyperbolic rhetoric. Though they did not know this at the time, the Soviets were bracing themselves for a possible attack or invasion from the U.S. In Havana, Cuba, 1992, historians James Blight, Bruce Allyn, and David Welch held a conference on the Cuban Missile Crisis. In attendance were the American, Cuban, and Russian officials that participated in the crisis thirty years earlier. Over four days in January, the group debated, discussed, and considered the causes and effects of the crisis, as well as the lessons that could be learned from it. Robert McNamara was quick to admit mistakes in judgment, but he also insisted that his Cuban and Soviet counterparts do the same, but they were a little reticent in that regard. It was during this conference that the U.S. delegation learned just how close they had come to the brink of nuclear war. General Anatoly Gribkov, who oversaw the secret deployment of missiles and soldiers into Cuba, made several shocking admissions. He first admitted that there had been no fewer than 42,000 Russian soldiers on the island of Cuba. These soldiers were also in possession of 162 short and long range nuclear warheads—including 90 tactical nuclear warheads. However, most alarming of all, was the admission that Premier Khrushchev had authorized the use of these weapons in the event of an American invasion (Blight, 259). This news was so shocking that McNamara nearly fell out of his chair (Kennedy, 9). General Gribkov had been given the authority from Defense Minister Malinovsky, who had been delegated that power from Khrushchev: “If you use the tactical weapons, it must be in the face of an invasion, that is, a penetration into Cuban territory.” (Blight, 259) The reason for such a move was based on the need for quick decisions, which would not be possible if the Soviets had to get permission from Khrushchev himself to use the missiles. In the documentary Fog of War, by Errol Morris, Robert McNamara talks about how shocked by the news that he nearly called off the conference. Even more shocking was the realization of how close they came to the end of civilization as they knew it: “It wasn’t until January, 1992, in a meeting chaired by Castro in Havana, Cuba, that I learned 162 nuclear warheads, including 90 tactical warheads, were on the island at the time of this critical moment of the crisis. I couldn’t believe what I was hearing, and Castro got very angry with me because I said, ‘Mr. President, let’s stop this meeting. This is totally new to me, I’m not sure I got the translation right… Mr. President, I have three questions to you. Number one: did you know the nuclear warheads were there? 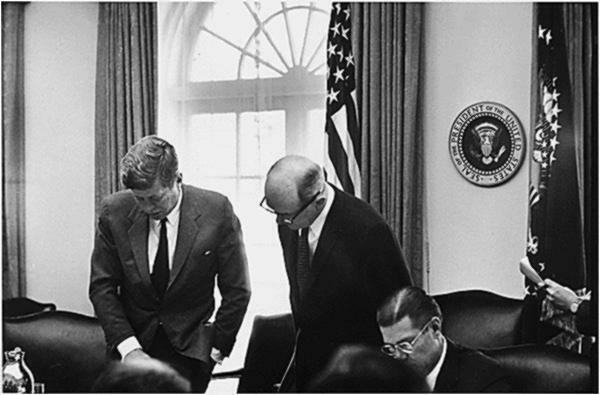 Number two: if you did, would you have recommended to Khrushchev in the face of an U.S. attack that he use them? Number three: if he had used them, what would have happened to Cuba?’ He said, ‘Number one, I knew they were there. Number two, I would not have recommended to Khrushchev, I did recommend to Khrushchev that they be used. 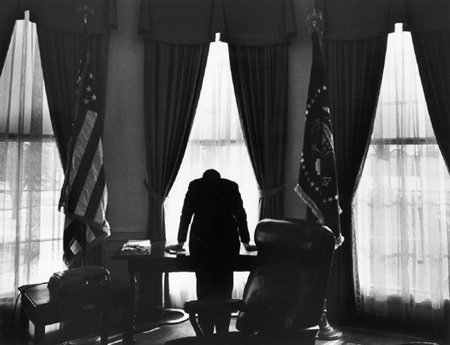 Number three, “What would have happened to Cuba?” It would have been totally destroyed.’ That’s how close we were.” Had President Kennedy followed the recommendations of the JCS, nuclear war would have commenced on the beaches of Cuba and nations would have been destroyed.